The Minister of State for the Ministry of Environment, Forest and Climate Change (MoEFCC) Dr. Mahesh Sharma recently informed that the Swacch Bharat Mission (Urban) is being implemented by the Ministry of Housing & Urban Affairs (MoHUA). And that for the various projects that have been taken up under this Mission, an amount of Rs. 7,424.24 crores has been allocated during the mission period of 2014-15 to 2019-20 for Solid Waste Management (SWM) Projects. Dr. Sharma said that the MoHUA has an overall mandate to take periodic review of the measures taken by the states and local bodies for improving their solid waste management practices. As per MoHUA Annual Report 2016-17, it is estimated that the total generation of solid waste is approximately 1,50,000 T/day. Approximately 90% (1,35000 MT/day) is collected. Out of the collected waste, 20% (27,000 MT/day) is processed and the remaining 80% (10,8000MT/day) is going to the dumping sites. 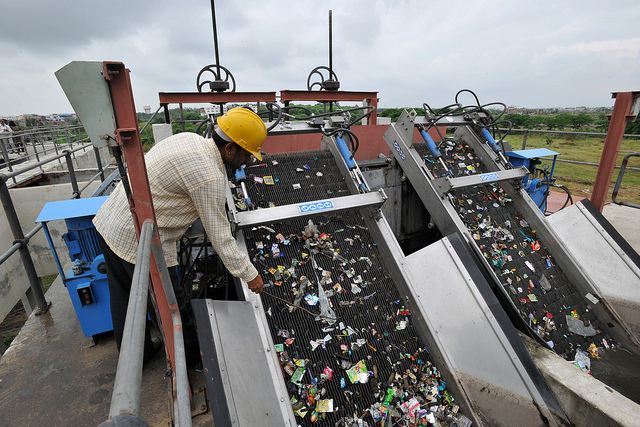 While highlighting the steps taken by the Government towards effective waste management, Dr. Sharma informed in the Parliament that the Government has comprehensively revised the Waste Management Rules and has notified the following Rules for sound management of various types of wastes in the country. Construction and Demolition Waste Management Rules, 2016. Dr. Sharma also stated that the Ministry (MoEFCC), under the provision of Environment Protection Act of 1986, issued several notifications to mitigate increasing pollution. Here’s hoping the funding released for Solid Waste Management leads to fresh initiatives and innovations in the Waste Management Sector. NextWhy Is Every Monsoon Bringing Devastation for Uttarakhand?